Welcome to PREVICOX Partners in Progress. Please share some information about you and your dog to sign up for exclusive surveys and offers from PREVICOX Partners in Progress. We will share this information exclusively with your prescribing veterinarian so they can keep track of your dog's treatment progress along with you. 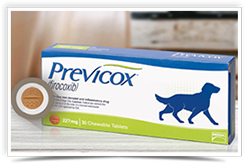 Get started to tell us about your dog's experience with PREVICOX (firocoxib). Boehringer Ingelheim respects your privacy. We will not share, sell, or rent the information you provide to us. By providing your email address you agree to receive marketing information from Boehringer Ingelheim. Enter your email address and password to access your PREVICOX Partners in Progress account. The email address you entered was not found in our records. Please enter a different email address or click here to get started. The password entered does not match our records. If you need assistance retrieving your password, please click here. New to Partners in ProgressSM ? 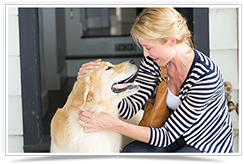 Get started to tell us about your dog's experience with PREVICOX® (firocoxib). Returning to Partners in ProgressSM ? Please click here to sign in or enter a different email address to get started. Please enter your email address to have a reset code sent to you.